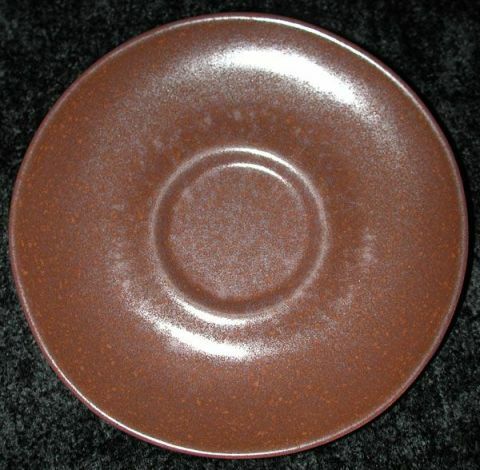 "Designed by Ben Seibel for the Roseville Pottery Company and distributed by Richards-Morgenthau under the name Raymor Modern Stoneware, the large multi-purpose line has been oven-proofed for cooking, is said to be 'strongly chip resistant' and comes in five cheerful colors: terra cota, green, slate, gray, and white. A sixteen-piece starter set is priced at $7.95." Maybe that should read "slate gray?" Where is Autumn Brown? From the May 1952 issue of Crockery & Glass Journal, "...Adding accessories to the Raymor Modern Stoneware dinnerware line are new Seibel-designed Stoneware hostess serving accessories, placemats and napkins in a handloomed design and new Raymor Glassware. These new accessories match or have colors that ensemble perfectly with Modern Stoneware." 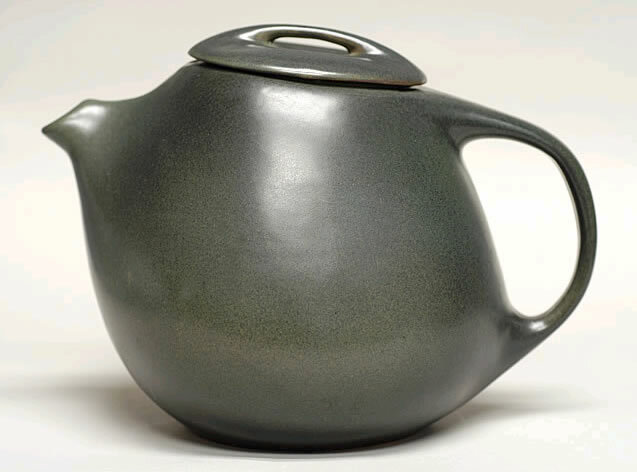 There are six named factory glazes: Autumn Brown, Avocado Green, Beach Gray, Contemporary White, Robin's Egg Blue, and Terra Cota . Note: Collectors have created names for some of the glaze variations (see the chart below). 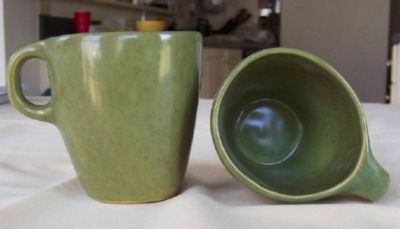 Items have been found in two other glazes: 1) a glaze collectors call "Chartreuse", and 2) a mottled green similar to the glazes found on Raymor Service for the Gourmet. 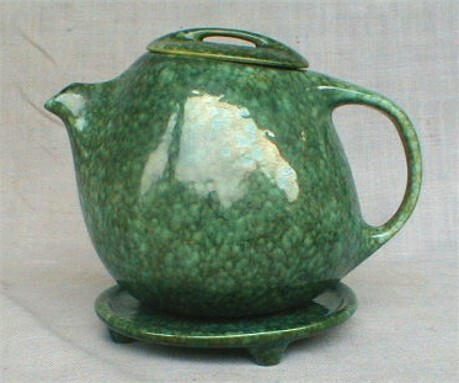 The factory name is not known at this time for either of these glazes. Note: Thanks to Mike Pratt for the pic. What's the Country-Time connection? 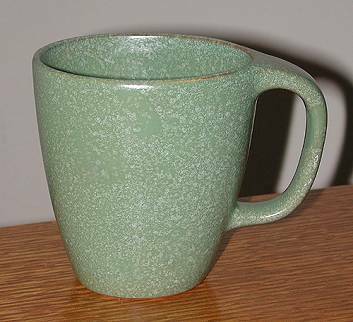 The Country-Time line has a cup that is the same as the 150 cup. Where is "Chartreuse" documented? Is this a trial color or special order? What is meant by the "A", "R", and "L" suffixes found on some pieces? One theory is that "R" stands for "Restyled" and that "L" stands for "Lug." I have not heard a theory for what "A" stands for.